If you suffer from psoriasis, you know how much it can decrease the quality of your life. Unexpected flare-ups, itchiness, unpleasant-looking patches can make anyone miserable. 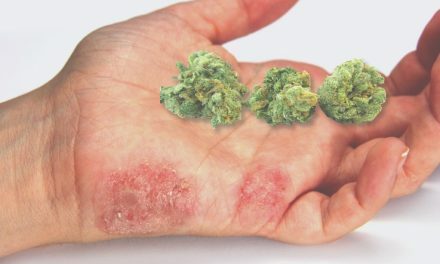 Unfortunately, there is no cure for psoriasis. However, there are many different ways to make the condition bearable. If topical treatments, drugs, and phototherapy are not working for you, you may want to try psoriasis home remedies. Most of these treatments can be made and used in the comfort of your own home. Many psoriasis sufferers have taken advantage of them over the years and substantially improved their condition. Apple cider vinegar is one of the most famous inflammation-soothing remedies. People have used apple cider vinegar to treat different skin conditions for many centuries. Besides its soothing qualities, it can help with disinfection due to its antibacterial effect. This remedy also restores the skin’s pH balance. Mix one part of apple cider vinegar and one part of water. Dip a cotton cloth into the mix and dab it on the psoriasis patches. Wash the area with cool water in about 20 – 30 minutes. You can repeat the procedure two to three times a day. Drinking apple cider vinegar helps you remove toxins and improve digestion. Dilute two tablespoons of apple cider vinegar in a large glass of water. Add a teaspoon of honey to improve the taste and drink on a daily basis. Important: Don’t apply apple cider vinegar to cracked or bleeding patches. It may irritate the area further. Don’t drink undiluted ACV since it’s too acidic. Dry skin is one of the common psoriasis symptoms. Olive oil has monounsaturated fatty acids that act as a wonderful moisturizer. The oil also contains Vitamin E, which helps reduce inflammation. The polyphenols the olive oil consists of are great antioxidants that help keep the skin clean. As a bonus, olive oil can prevent heart disease, which psoriasis sufferers are at a higher risk for. Heat the olive oil up so it feels warm to the touch. Use hot water bath for heating in order to keep all the useful ingredients. Boiling the oil can lead to it losing many properties. Use a cotton cloth to apply the warm oil to the skin. Wash it away in 20 to 30 minutes. Add several tablespoons of olive oil to your warm bath. You can bathe with olive oil three to four times a week. Using homemade olive oil soap can improve the effect. You can mix olive oil and milk to create a great natural moisturizer. This lotion will soften the skin and improve the appearance of lesions. Add two teaspoons of olive oil to a glass of milk. Add the mixture to your bath. Soak for as long as you want. While soaking, massage the patches to remove loose skin flakes. Important: Always do a spot test before applying any olive oil mixtures to your skin. Sensitive skin might have an adverse reaction to this remedy. Flaxseed oil contains omega-3 and omega-6 fatty acids. It deals with a variety of issues from high cholesterol to cancer. Thanks to its extensive antioxidant properties and anti-inflammation effect, flaxseeds can be a great remedy for psoriasis. They also contain vitamin C, which can improve collagen production to reduce skin dryness. Take three tablespoons of flaxseeds and grind them up. You can add the powder to your smoothie or cereal. Use flaxseed oil as a dressing for your salad. Warm up two tablespoons of flaxseed oil. Wash the psoriasis patches and pat them dry. Use a cotton swap to apply the flaxseed oil to the lesions. Don’t rub. Allow the oil to dry naturally and rise with warm water after about 20 minutes. Take three spoons of flaxseeds and grind them up into a powder. Add one teaspoon of raw honey and a ¼ cup of warm water. Mix everything well and apply the mask to the lesions. Keep it there for 15 to 20 minutes and rinse with warm water. Baking soda (Sodium Bicarbonate) is one of the cheapest and most effective home treatments for many conditions including psoriasis. Baking soda can reduce the itchy and inflamed feeling of the psoriasis lesions. It can be used on a regular basis to alleviate the most unpleasant psoriasis symptoms thanks to its ability to neutralize acid. Mix one teaspoon of baking soda with one cup of lukewarm water. Stir vigorously. Dip a cotton ball inside the mixture and apply it to the affected area. You can wash the skin in about 20 minutes in case it feels taut. You can repeat the procedure several times a day. Baking soda bath is a wonderful home remedy for people with all types of psoriasis. Add a couple of cups of baking soda to your bathtub and soak for half an hour. Make sure to use a moisturizer after the bath to avoid skin dryness. Fish oil is rich in omega-3 fatty acids. When taken in high doses (from 3 to 10 grams) per day, fish oil can alleviate the psoriasis symptoms. Fish oil comes as a supplement. However, you must speak to your doctor before taking it. There are some contraindications and side effects, which you should learn about, especially when it comes to high dosages. If for some reason, you can’t take a fish oil supplement, you can get omega-3 fatty acids from natural sources, such as flaxseeds, nuts, olive oil, and fatty fish (tuna, salmon, herring). Just 12 ounces of fatty fish per week offer great results. One of the simplest ways to reduce the number of lesions is to expose your skin to sunlight. You should start sunbathing about 5 to 10 minutes at a time at midday when the sun is the strongest. Then you can increase the time gradually by 30-second increments. It’s vital to cover the rest of the skin with sunscreen or clothing in order not to get sunburned. Make sure that your skin is completely healthy (except for psoriasis patches) before exposing it to sunlight. Sunburn can make psoriasis worse. Important: Only the natural sunshine (UVB rays) can alleviate the symptoms of psoriasis. Indoor tanning (UVA rays) may increase the risk of skin cancer. Talk to your doctor before using sunlight as a home remedy. Some meds may make your skin overly sensitive to the sun. Psoriasis sufferers often have too much bad bacteria in their intestine, which in turn leads to skin inflammation. Probiotics in your diet can balance the bacteria mix in the intestines. Proper bacteria mix may reduce the inflammation. As a bonus, probiotics can help with diarrhea, IBS, yeast infections, and even rheumatoid arthritis. In order to improve your condition, you should include probiotic-rich foods in your diet. The biggest number of “good” bacteria can be found in yogurt, fermented cheese (cheddar, Swiss, parmesan), pickles, sauerkraut, acidophilus milk, and sourdough bread. You can also consider taking probiotic supplements. However, you need to consult your doctor in order to choose the right one. Curcumin is the active ingredient of turmeric, a member of the ginger family. Traditional Chinese medicine widely uses turmeric as a remedy for many conditions. Mostly it’s used to treat and prevent skin diseases. Research has shown that curcumin can reduce wound healing time, which shows its great potential for dealing with skin conditions. Curcumin controls inflammation, helps skin regenerate, stimulates detoxifying enzymes, and reduces itching. Curcumin is an antioxidant. It acts as an anti-bacterial and anti-microbial agent. This ingredient stimulates the T-cell production, allowing the body to battle autoimmune diseases. Turmeric Milk – mix half a teaspoon of turmeric powder with one glass of warm milk. Drink daily before sleep. Turmeric Paste – create a thick paste out of turmeric and water. Apply to the patches and leave overnight under a cheesecloth. Repeat daily. Turmeric Oil – massage the oil into the lesions for three minutes. Leave the oil overnight. Rinse with lukewarm water. Read more about benefits of Turmeric for psoriasis treatment. 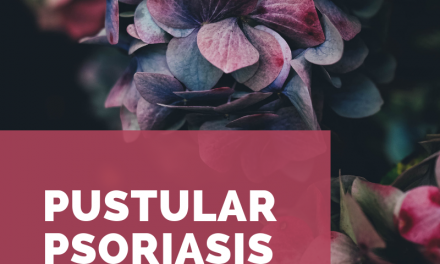 The most unpleasant symptoms of psoriasis are itchiness and skin dryness. If you want quick relief, a warm and soothing bath is the key. Soak in a bath with different remedies for at least 15 minutes as often as you need relief. If you don’t have time to take a bath, use the below remedies to create a cold compress. Use colloidal oatmeal for your bath since it dissolves in hot water and doesn’t clog the drain. You can make it on your own mix by grinding whole oats in a blender. In order to make sure you have the right consistency, try to dissolve a little in hot water. Oatmeal reduces itching and swelling while moisturizing your skin. Epsom salt has a soothing effect on itchy patches. All you have to do is fill the bath with hot water and dissolve two cups of Epsom salts in it. Wait for the water to cool down to a comfortable temperature and take a bath for 15 – 20 minutes. You can add oatmeal to the bath with Epsom salts to improve the effect. Several studies have shown that psoriasis sufferers, who swim in the Dead Sea show significant improvements in their condition. A study published in Journal of the American Academy of Dermatology discussed 27 patients, who bathed in the Dead Sea daily. Eventually, 89% of them were either completely cleared or have shown improvements. If you don’t have an opportunity to bathe in the Dead Sea, you can come as close to it as possible by taking daily Dead Sea Salt baths. Dissolve two cups of salt in the bathtub full of lukewarm water and soak for at least 15 minutes. Important: Hot baths can worsen the symptoms and so can harsh soaps. Don’t rub the skin with a towel after the bath, pat it dry. Skin dryness is one of the most common psoriasis symptoms. Taut and dry skin results in an unpleasant sensation that leads to itching. One of the causes of such symptom worsening is dry air. When the central heating is on, the air in your bedroom can be rather dry. Buy a humidifier to increase the humidity. Make sure your ventilation is working properly. Open windows for at least 5 – 10 minutes every day even if it’s freezing outside to get some fresh air. 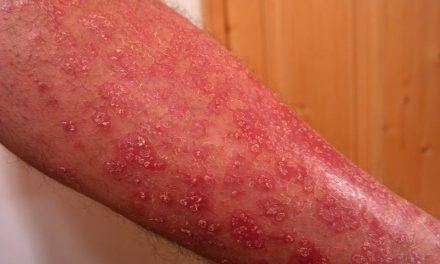 Psoriasis-prone skin is very sensitive. If you injure your skin, it can lead to breakouts and symptoms worsening. Wearing tight clothing is one of the most common ways to irritate your skin. Opt for comfortable clothing and avoid synthetics. When psoriasis is triggered by an injured skin, it’s called Koebner phenomenon. Besides watching the clothing, consider wearing gloves when you are doing home cleaning chores in order to avoid scratches. The power of aloe vera is hard to overlook. 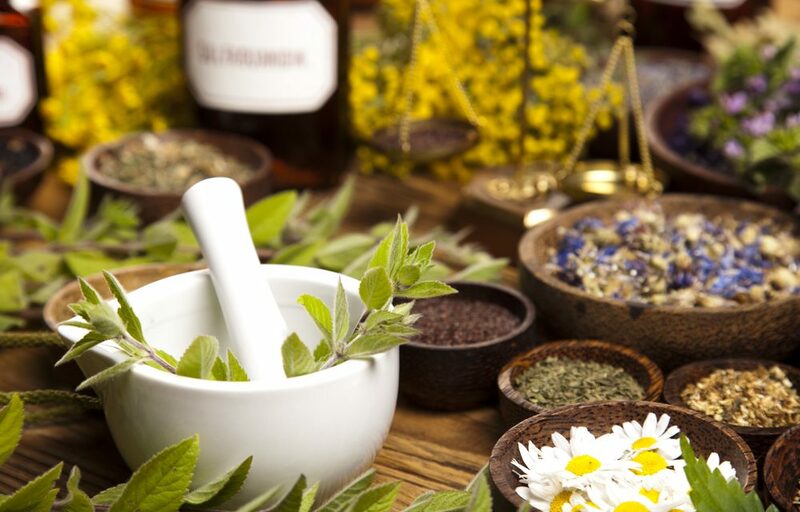 For centuries, it has been used to treat a variety of conditions. The gel is great for healing minor cuts and wounds, reducing wrinkles, and moisturizing. Aloe vera gel is 99% water, which makes it a wonderful soother and moisturizer. It contains vitamins A, B, C, and E and minerals, such as copper, iron, magnesium, potassium, and zinc, as well as amino acids, antioxidants, and polysaccharides that help boost the immune system. This plant also has anesthetic, anti-microbial, and anti-inflammatory properties. The list goes on and on. Buy an aloe vera plant. Take one leaf and slice it in half. Squeeze the gel out and apply it to the lesions by massaging for about 2 minutes. Leave the gel on your skin for 30 minutes and rinse with lukewarm water. You can repeat the procedure up to 3 times a day. Aloe vera contains the much-needed vitamin B12, the deficiency of which can lead to psoriasis. Drinking aloe vera juice on a regular basis can prevent and reduce psoriasis breakouts. Mix fresh aloe vera gel with water and add some honey to improve the taste. About 10 ml of aloe juice daily before meals can help improve your condition. Take one tablespoon of fresh aloe vera gel and mix it with one tablespoon of full-fat milk. Use your fingertips to apply the mixture to the affected areas. Leave it for 20 minutes or overnight. Rinse with lukewarm water. You can substitute gel with juice. Important: Internal intake of aloe juice has some contraindications. Please consult your doctor. Cayenne pepper has been used for decades as a treatment for psoriasis. This remedy possesses powerful anti-inflammatory properties that can treat various skin disorders. Some psoriasis meds are made using the pepper extract known as capsaicin. This pepper can reduce the redness and skin scaling. Many creams for psoriasis contain hot pepper. It’s vital to use them according to the instructions. Mix three tablespoons of cayenne powder with one cup of olive (grapeseed, almond or jojoba) oil. Heat for 5 minutes over medium heat. Add half a cup of grated beeswax and stir until you get a homogenous solution. Cool the mixture down and whip it. Put into a glass jar with a tight lid and store in the refrigerator. Colorful vegetables are an integral part of any psoriasis sufferer’s diet. Pick fruits and vegetables from each color group and eat them on a daily basis. This way you’ll get all the necessary vitamins and minerals to stimulate your immune system and prevent flare-ups. Try to avoid fruits with high sugar counts (such as mango, leeches, figs, cherries, grapes) since too much sugar can trigger breakouts. Battling psoriasis is easy if you follow a few simple rules. These psoriasis home remedies can significantly improve your life without too much effort.